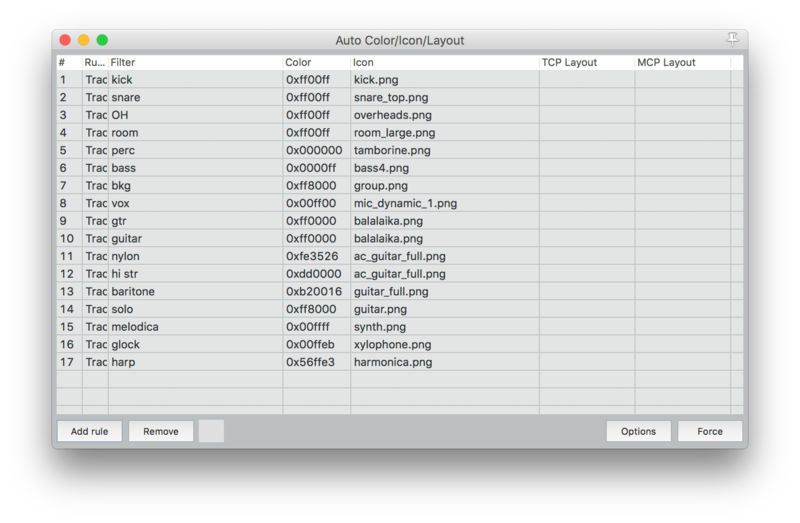 Coloring tracks in the DAW is a good idea so you can visually tell what’s what. 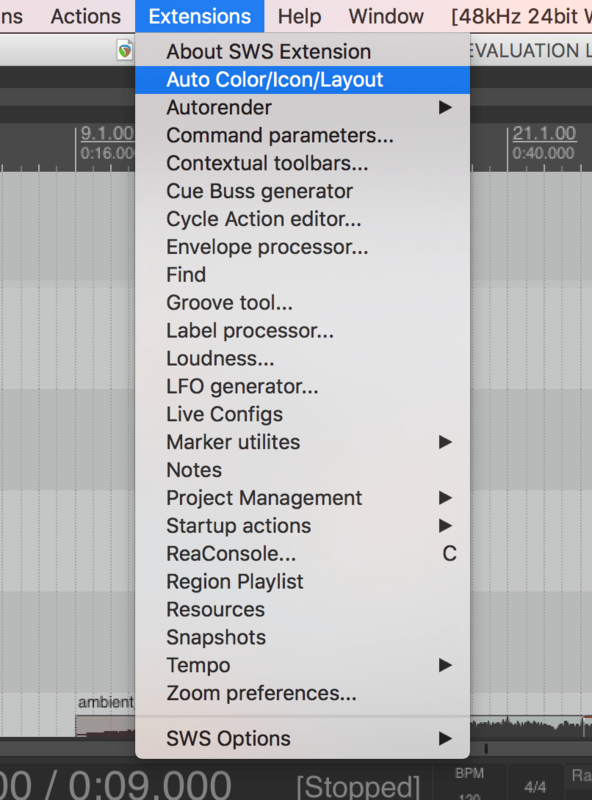 And (in Reaper at least) it can be done automatically, as soon as you name the track. 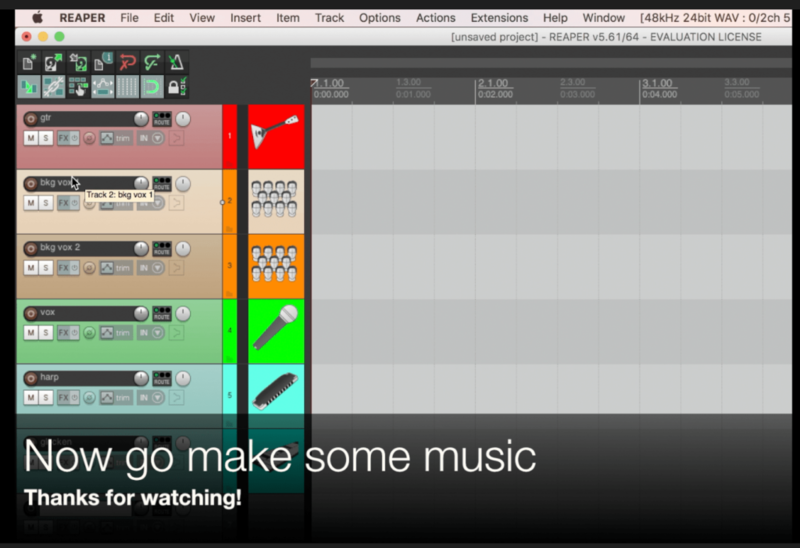 First you need the SWS extensions for Reaper. Download and install and a new top-level menu called Extensions will show up. Tweak to your heart’s content. 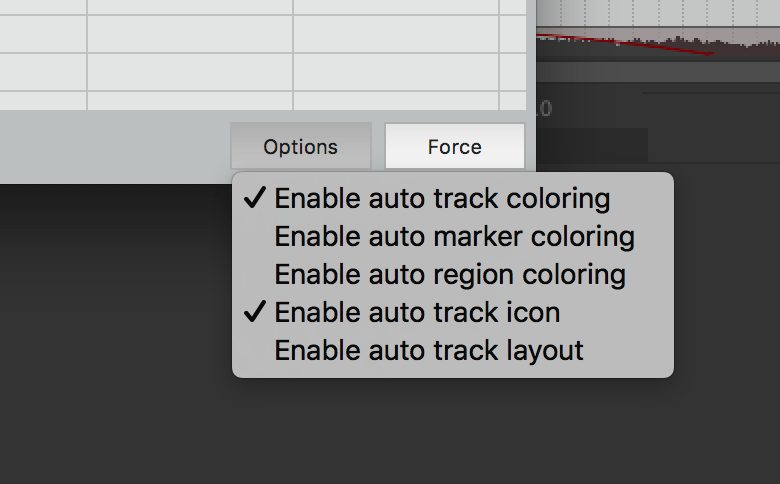 Finally, make sure the options Enable Auto Track Coloring and Enable Auto Track Icon are ON. Here’s a quick video of how auto-coloring works in action.